Home Theatre PCs have been around for a while, and with ever improving integrated graphics we decided to find out which chipset is currently the best solution for video playback. 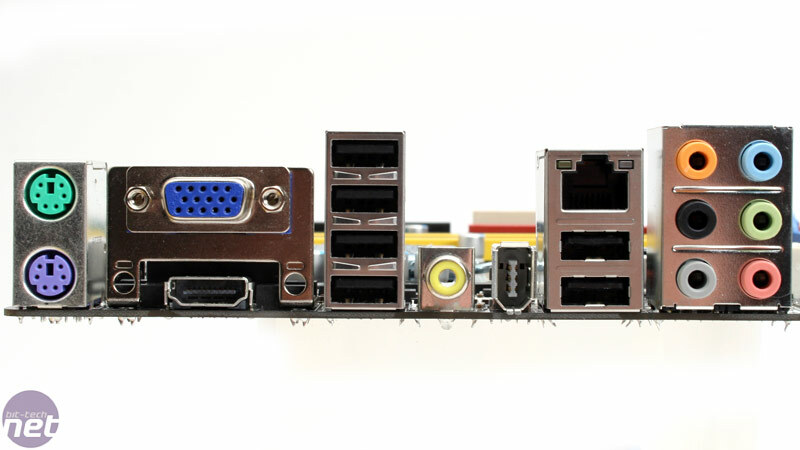 The three micro-ATX boards we will be looking at today all feature HDMI with HDCP encryption for the latest HDTVs, but sit at different price points and use both AMD and Intel processors. This variety should give us an idea of how the market stacks up. The one thing we’re eager to find out today is whether or not they provide adequate acceleration and image quality in high definition movies encoded in h.264 and VC-1—the two most popular codecs used in Blu-ray and HD DVD discs. The boards will also be ran through our gamut of real-world testing scenarios as well to find out which board—and chipset—is the current king of the Home Theatre hill. 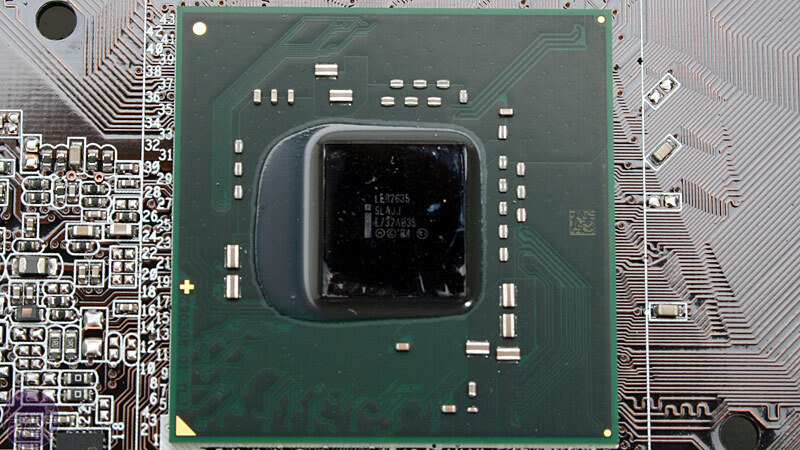 Intel Core 2 Quad, Duo, Extreme and Pentium 4 and D CPU support – 800MHz, 1,066MHz and 1,333MHz front side bus. 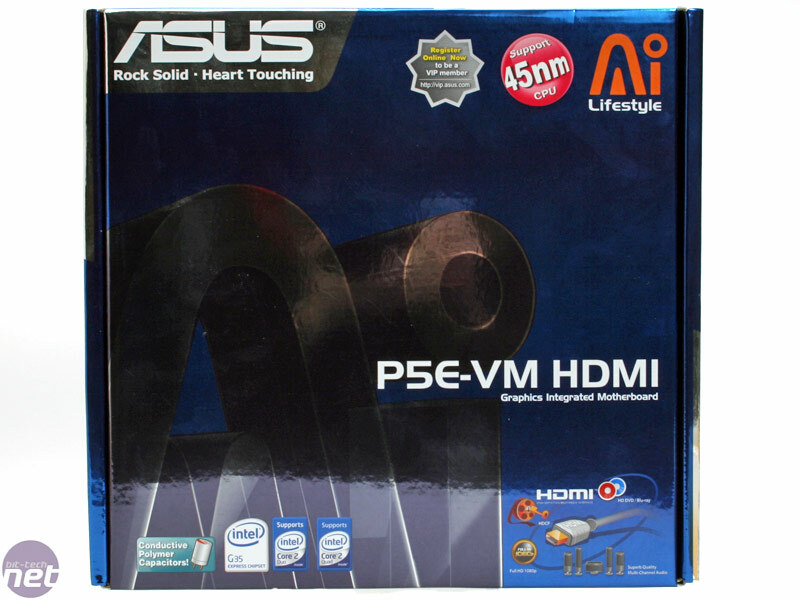 It’s strange, we’re used to seeing motherboards with integrated graphics that have few features and cost very little, but Asus has gone all out with its P5E-VM HDMI. 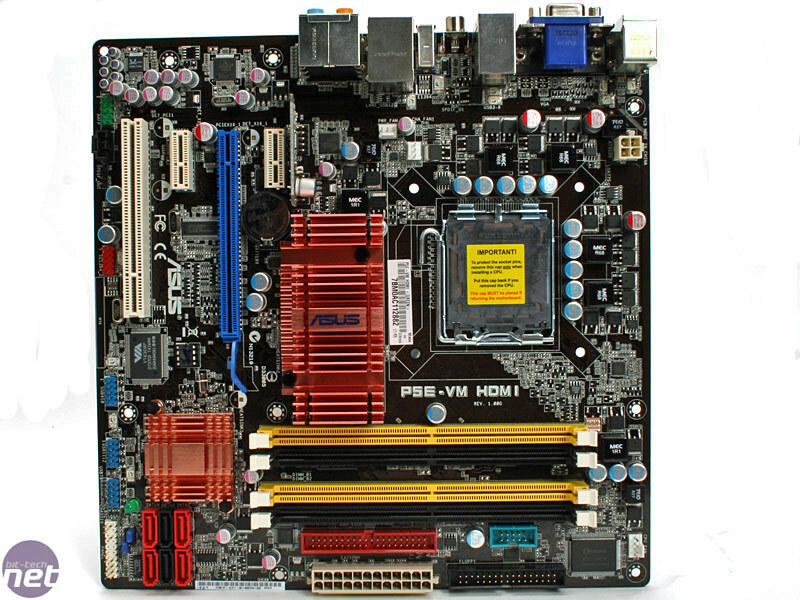 It looks like any other expensive Digital Home board from Asus with its black PCB and copper coloured heatsinks – while it features no heatpipes, the heatsink for the north bridge is significantly larger than those used on both the Nvidia and AMD IGPs. If you want a G35 (or even Q35 for business) board you have to buy Asus though – for the fastest IGP Intel has currently released, if it was launched with any less weight it would have blown away. We’ve been told this is because Intel is concentrating on the G45/P45 launch in a few months to get software and hardware working ready to go together. The G35 is only a little more powerful than the G33, and while it does have a new “DirectX 10” core, it lacks proper drivers to make use of it. 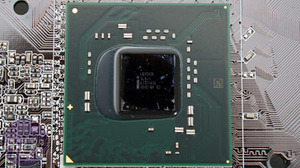 As it is, Intel’s graphics driver updates are few and far between (some might say maintaining the status quo for generations then) and optimisation or even support for current games is usually missing. All that said, it’s still more powerful than its predecessors and still offers ClearVideo technology which, according to Intel, rivals Nvidia PureVideo and ATI Avivo – we’ll talk much more about this later. While the Intel G35’s technical specification says the chipset should be paired with its ICH8R south bridge, Asus has decided to use the more recent ICH9R instead. The difference is negligible, simply a couple of extra USB ports to the end user and a command based port multiplier for SATA – I can't say I've ever felt the need to use that myself. The combination of four DDR2 slots and Intel's Flex Memory Technology—which allows odd-sized DIMMs to work together and remain in dual channel—both help to maximise upgrade potential. Six SATA 3Gbps come with full consumer RAID 0, 1, 0+1 and RAID 5 support – more than either the current Nvidia or AMD chipset supports. 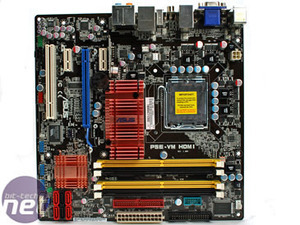 There’s still space for a discrete graphics card in the PCI Express x16 slot, but the IGP features all the connections necessary – HDMI, DVI (with the included adapter) and VGA. The VGA even has a feature called “Asus Splendid” which can adjust the output depending on whether you’re watching a movie or reading text etc. HDMI and DVI still require an external transmitter though, which in this case is the Silicon Image Sil1392 chipset that also contains the HDCP crypto ROM and automatically combines the S/PDIF audio with the video over HDMI. The downside is that the extra chip also adds to the cost of the board and the already (relatively) expensive G35 chipset. 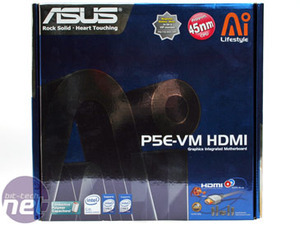 Asus' choice of sound codec is a little disappointing – the Realtek ALC883 is described as a "value" High-Definition codec instead of a more premium choice from the ALC888 or ALC885 you’d expect to see on this board – there’s no DTS or Dolby options and the quality is lower rated than the other Realtek HD audio options. 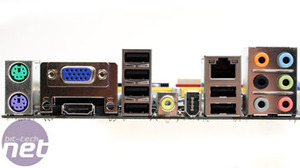 The rear I/O is generally fully featured with six USB 2.0, a 6-pin Firewire and S/PDIF out, as well as the video and audio options – more than the other two boards, although we’d expect it for the price. Asus’ Overclocking features are the biggest surprise here – the board features some significant BIOS options only usually found in high end enthusiast boards. There are significant CPU and memory voltage adjustments that go as fine as 0.0125V, as well as chipset, FSB and PLL voltage options.